IN recent years, a tea called Rooibos has risen to fame thanks to remarkable assertions about its health properties. But are these claims true, or is this tea just another fad? 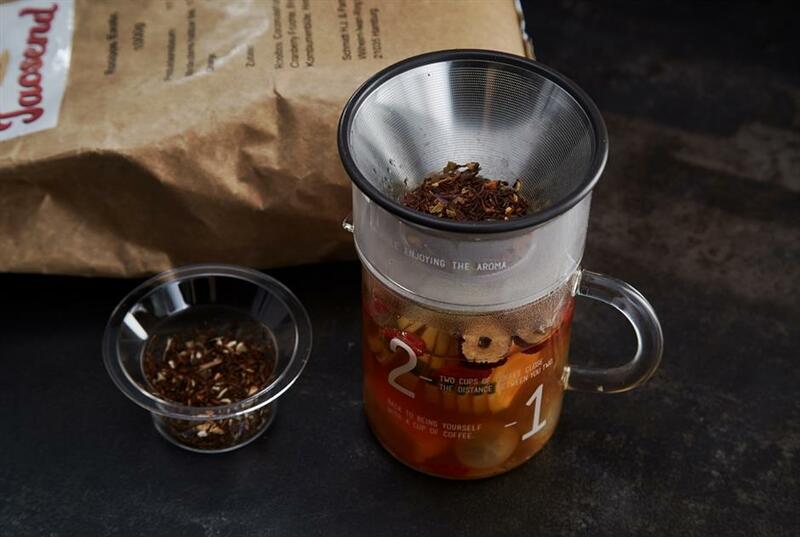 Rooibos tea can be consumed much like a black tea, which also goes well with many fruits and spices. Technically, Rooibos comes from a plant called Aspalathus linearis, which means it is not a true tea. Rooibos is an Afrikaans word meaning “red bush,” hence the reason it’s often sold as “red bush tea.” The special plant grows mainly in the Cederberg region of South Africa. Although it has been consumed by locals for hundreds of years, Rooibos has been traded commercially only since 1904, when Russian immigrant Benjamin Ginsberg realized its market potential. Actually, its popularity has been on the increase for the past decade. Established in 1954, the South African company Rooibos Limited, the largest supplier and marketer both in South Africa and internationally, has already marketed Rooibos tea to more than 60 countries since 2014. Drinking Rooibos tea on a regular basis is believed to give a boost to immune system strength. The level of minerals are also much higher in Rooibos than in other teas, which can help repair and maintain immunity. Naturally caffeine-free, Rooibos tea is ideal even for pregnant women and nursing mothers. And thanks to its low tannin content, you won’t end up with a cup of astringent tea even if you forget to pull the tea bag out in time. Sometimes used as a natural remedy for the relief and prevention of hypertension, Rooibos tea has been proven effective to lower blood pressure. As a bronchodilator, it can increase airflow to the lungs and make breathing easier, while decreased resistance in the respiratory passage to help prevent cardiovascular disease. It can also benefit patients with asthma. Rich in minerals such as calcium, manganese and fluoride, regular consumption of Rooibos tea can make your bones and teeth stronger over the long run. Containing a type of antioxidant called aspalathin, Rooibos can help balance glucose levels in the bloodstream and improve insulin resistance. Thus, it can help stave off the development of type II diabetes. If you suffer from digestive problems, the natural antispasmodic agents in Rooibos tea can ease stomach cramps, abdominal pain and improve digestion. The tea is rich not only in polyphenols, a kind of antioxidant, but also in alpha hydroxyl acid and zinc. The antioxidents can help prevent heart related diseases and fight free radicals, while the acid and minerals can lead to glowing skin with fewer signing of ageing and wrinkles. Some studies show that consumption of zinc may reduce the occurrence of acne too. Drinking Rooibos tea regularly can actually help you shine from the inside out. Furthermore, according to Alvaro Viljoen, PhD, from the University of the Witwatersrand’s pharmacy department, Rooibos can be used as an alternative to milk with colicky babies. Of course, this remarkable drink also has a great flavor and pleasant aroma. It can be consumed just like black tea. It tastes great with or without milk, sugar or a slice of lemon; and can be served both hot or chilled. Don’t be surprised if you see a Rooibos latte or Rooibos espresso on a café’s menu. I’m pretty sure it will taste just lovely!